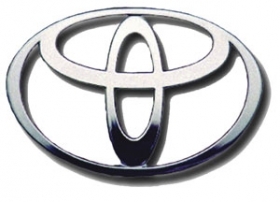 Toyota Motor Corp. says it is on track to fix 90 percent of the cars it has recalled in Europe by the end of July. Since January, Toyota has recalled more than 1.7 million cars in Europe to check for potential safety issues in its top-selling Auris, Avensis, Aygo, Yaris and Prius model lines. Toyota said that more than 1 million vehicles -- equivalent to 66 percent of the total -- have been checked so far in Europe, with a fix rate three to four times faster than recall campaigns it has carried out in the past. A Toyota Europe spokesman said the automaker does not expect to fix 100 percent of the cars involved in the recall because some customers will decide not to bring in their cars, which is common during recall campaigns. “In the UK, for example, we expect completion will reach around 95 percent, even though we have sent three letters to each customer,” a Toyota spokesman said. The spokesman said the recall campaign will never close, so that even if a customer visits a dealer in five years' time with a car that was recalled, the issues covered by the recall will be checked and fixed free of charge. Globally, Toyota has recalled more than 8.5 million cars to check for issues including a potentially sticky accelerator pedal, the potential entrapment of the accelerator pedal under the floor mat, braking issues with its Prius hybrid model and stability-control issues with the Toyota Land Cruise/Prado, Sequoia and Lexus GX large SUVs.